My first trip to Denmark was most excellent. The good folks at Miracle were great hosts and the event was unique in many ways. 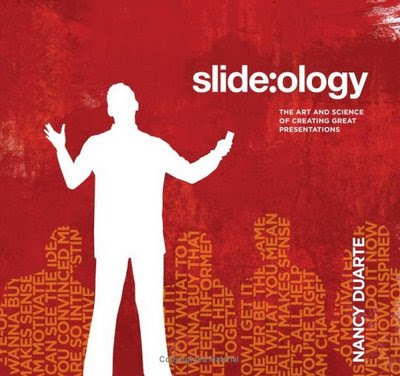 I delivered two presentations and heard several others that were superb. Jonathan Lewis delivered an excellent session (well, 2 actually) on hints and Tanel Poder's presentation on advanced troubleshooting was top notch. My only regret is that I didn't get to see all the presentations. It never fails that when I speak at a conference there is a session being delivered that I want to see at the same time as my presentation. That was once again true. I missed Robyn Sands presentation on variance, but was lucky enough to be able to chat with her about it a bit over dinner. One of the things that I found unique about the Miracle event was the amount of time available to network, meet new people and talk. Each evening dinner was a multi-hour affair fueled by excellent conversation. Oh, and the food and drink were excellent too and were made available in very large quantity! One thing that can be said for sure about Miracle is that they don't skimp on quality or quantity! Besides the event itself, I had the opportunity for exposure to a new place. Since it was my first trip to Denmark, I thought I'd share a few things that I noted. 1. They have some seriously cool doors there. Yep, that's right...doors. Some of the doors don't have the traditional door lock/dead bolt combination that I'm used to. Instead, the doors lock closed by lifting the handle up and the door then vacuum seals or something like that. I was too impressed by it that I didn't even bother to look closely at how the mechanism works, but it is seriously cool. I want doors like that at my house. 2. The public water closets had doors that were about 8 feet tall starting about 1 inch off the ground. OK. This may seem silly for that to be something I noticed, but being 6'4, I almost always find the top and bottom 1/3 of my body is visible in most ladies rooms. Let's just say I liked not having my head waving over the door like a giraffe for once! 3. The traffic signals not only go Green-Yellow-Red, but Red-Yellow-Green as well. That way if you're stopped, you know when the light is about to change. I'd like that in the US. I often find myself leaning to see the other side of the light so I can tell when the change is coming. New traffic signals would eliminate much neck strain on my part. 5. Denmark is flat. I was told the highest points in the whole country are only about 150 and 170 meters high. Heck, that wouldn't even qualify as a bump in the road in Tennessee where I grew up! Oh, and the funny thing is that they actually call one of those places "Sky Mountain". 7. Danish hot dogs look very odd (to my American eye), but taste yummy. We stopped in downtown Copenhagen and partook of a vendor stand hot dog on the day before our departure. I didn't watch how it was made, nor look at it closely before taking a bite. It's one of those things where it's just better not to know. I found this YouTube video that after watching it makes me glad I didn't look at what I was eating! I know there's a lot more I could add but you get the idea. I loved my trip and hope to return before too long. I've been thinking about a few problems that seem to turn up with Oracle query optimization lately. Jonathan Lewis posted on one case where the high value statistic was likely "off" at times and caused the plans to switch between good and bad. I had recently seen a similar case where a new partition was added each day and query plans that involved the new partition would pick the wrong index due to a high value problem. The stats were manually set to help fix it. Anyway, these situations and several others I've seen have got me to wondering about whether or not using dynamic stats collections more aggressively would help some of these types of problems. I mean, if stats were missing and dynamic sampling kicked in, could/would better plans be derived more frequently? I'm going to set up a set of tests to see where these musings take me, but I thought I'd mention it first to see if anyone has any experience with doing this and what kinds of results you've seen. If you have any input, let me hear from you! A friend of mine sent this to me. Oh how true it is! Don't you just hate getting those cutesy emails that promise you to have eternal youth and good fortune if you only would forward the email on to 10 of your friends? OK, I admit that I've done it once or twice. And for those of you who have been on the receiving end, please allow me to apologize. I guess there have just been moments when I really wanted what was promised to be granted to me. And if it only meant forwarding on one little email, then what's the harm, right? Harumph! 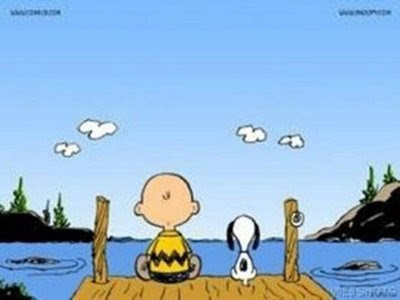 Hope may spring eternal, but there is a line between hope and not being rational. Not that I'm against hoping and wishing for things that I want to happen, but in regard to this particular method of achieving my dreams, I think from now on I'm simply going to reply to the sender with this graphic. Then, I'll go buy a lottery ticket. Cary Millsap recently had a great post on the use of active vs. passive voice when writing. Check it out, it's an excellent read. Learning is a state transition between not knowing something and knowing it. For someone to truly learn, he has to have the courage to admit—at least to himself—that there's something he doesn't know. Some people are unwilling to do that. Think about that for a second. What do you think? Is the capacity to learn rooted in the ability to simply admit there is something you don't know? I think Cary's spot on with that assessment. 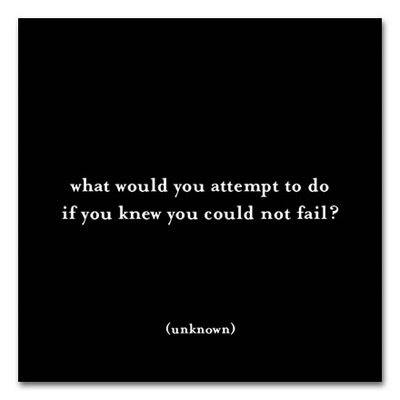 I do believe that fear of admitting what you don't know holds you back from learning/knowing what you need to. It's like having blinders on. I prefer to believe it is fear based and not arrogance, but I think arrogance is at the heart of many people's unwillingness to seek out knowledge. I mean, what if they're proved wrong about something they've stated as truth? If you think yourself an "expert" and your ego can't stand the hit it would take if you are proven wrong, aren't you destined to be found lacking knowledge you claim to possess at some point? Although I can't find the exact quote, I remember reading something to the effect of "A wise man knows he doesn't know everything." For me, my personal goal is to be continually in the process of learning. I love to learn. Sometimes the process is painful or embarrassing when I state something I believe to be fact and am shown that my information is either lacking or just plain wrong. But, even then, I'm glad to learn. Without coming under critique, how do I confirm what I claim I know? In the end, it's empowering for me...and humbling too. I like knowing and I like sharing what I know. But in order to know, I have to first learn. And I think that learning is the real thrill for me. Sharing what I learn is just icing on the cake. I think it's easy to get complacent and not seek out new knowledge. Many times I see people who do basically the same job and see the same issues day after day, month after month. It's easy to get lazy. It's easy to turn around and your company is considering implementing Oracle 11 and you've never bothered to learn anything more than you knew when you learned back in Oracle 7. It's easy to assume that once you know something, that knowledge stays fixed and there's no need to "upgrade" that knowledge. For me, I do what I do because not only do I like to mentor and teach, but I primarily love to learn. My first job was in the government sector. I was the new, young kid working with a bunch of guys who had been at their jobs for 20-30 years. When I finished projects ahead of my allotted time, they'd chide me. They told me I needed to learn to "take it easy" and that I "wasn't in school anymore" and didn't need to complete my assignments in record time or try to impress my professors. I just needed to sit back and relax and learn to "not tax my brain". I tried (for a very short while). But, I stagnated. I couldn't stand sitting still. I couldn't stand not learning and not doing more than just what I knew. I wanted more. I wanted challenge. I wanted to expand what I knew so I could do my job better and more efficiently. In the end, I stayed in my first job for less than a year. And, I know now as I look back, it was the simple fact that I wasn't learning that prompted me to leave. I grew bored and uninterested in my job and I just couldn't stand it. It takes courage to be a learner. It requires effort. It requires being willing to admit there's a lot I don't know. But I know for me there's no other choice. Learning is like a drug and I'm an addict. My friend and colleague, Ric Van Dyke, has been preparing a presentation for the UKOUG conference and in his work discovered an anomaly in the roll ups for the time values in the STAT lines emitted in 10046 trace data from an 11g database. I had seen this behavior as well but didn't follow up on it for myself since I wasn't using Oracle 11 for anything other than a bit of testing here and there. In order to understand the rowsource execution statistics (the information in the parentheses at the end of each line), you need to follow one simple "rule": the values listed in a child operation roll up into their parents. The bottom-line is that the top line should be the roll up of the child operations listed below it. To understand the relationships, take a look at this tree diagram of this query's execution plan. So far, so good. Now, let's look at the same info from 11g. The plan is a bit different in that it used an INDEX FULL SCAN for the EMP table access but otherwise, it's basically the same. |   1 |  0  |  MERGE JOIN                   |                |   166 |    ?? | 53+?? |   4 |  1  |   SORT JOIN                   |                |    25 |    ?? |    ?? Hmmmm... Something's wrong here. Notice on step 4, the SORT JOIN operation's total time is only 25 microseconds. How can that be possible if it's child operation takes 84 microseconds? The MERGE JOIN step shows a time of 166 microseconds. How can I be sure of that total since step 4 appears wrong (i.e. it doesn't appear to include it's child operation totals)? Well, if we go with Ric's theory, the problem is with the SORT step (id = 4). It appears that Oracle is no longer rolling up totals when a SORT type of operation occurs. Instead, it maintains that operation's statistics independent of its children. If that's the case, then to get the correct timing roll up, we'd need to add the time from steps 2, 4 and 5. That would be 162 microseconds. That would mean that the MERGE step would take 4 microseconds. What appears to be happening is that the SORT is now done "while" the child steps are accruing. I think the best way to describe this new behavior is that sorts now happen simultaneously with the child steps. 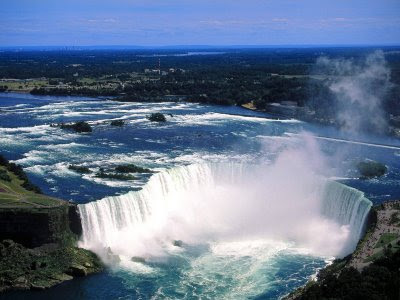 I don't believe that this is a parallel action, it is an action that happens simultaneously. There is a subtle but distinct difference. Regardless of if there's a resolution or not (perhaps we need to change the way the roll ups are done for SORT type operations which include not only SORT-MERGE joins, but queries that have ORDER BY and HASH joins as well), we do need to take note of the change. I've depended on these rowsource stats quite frequently when optimizing SQL and would love to really understand why this behavior is occurring and how to account for it in trace data. If anyone has anything more concrete on this, I'd love to hear from you and I'm sure Ric would too! I'll be presenting at this year's Miracle Open World in Denmark and was asked to prepare a video about my presentation 'Are you an astronaut or a monkey? The Oracle Advisors from a different perspective'. I sure had fun making it. I have a feeling MOOW will be even more fun! So, in lieu of something more profound, follow the visuals to know where I've been hanging out. Today is Teachers' day in India. Every year on this day I receive an email from a student of mine who lives in India sending his thanks and also to ask for my "teacher's blessing" for him and his endeavors. This has been going on for about 4 years now and I look forward to it. In India September 5th is celebrated as Teachers' day as a mark of tribute to the contribution made by teachers to the society. This date is the birthday of a great teacher, Dr. Sarvapalli Radhakrishnan, who was a staunch believer of education, and was the well-known diplomat, scholar, president of India (elected in 1962) and above all a teacher. You can read more about Teachers' day here. I love to teach. It's truly a passion. I think it is true that teachers are also the most frequent and enthusiastic students. I know I am. I love to learn. And, even when I am teaching, I'm learning. My students often impart as much helpful information to me as I do to them. How great is that?!?! In any case, I wanted to take a moment to thank my teachers...all of you. 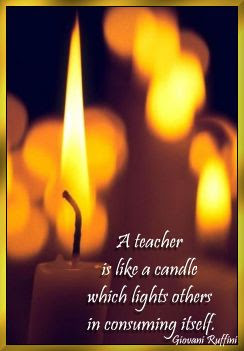 I know my life has been shaped by all the wonderful teachers I have had. I got to speak to one of my most favorite teachers just last week after more than 25 years. It happened out of the blue when my sister, who is a physical therapist and lives and works in Tennessee, called me during the day and said "I've got someone here for you to say hi to." She then handed the phone to someone who asked if I remembered her. Obviously, I was clueless and so she gave me a hint: "I had you in class for two years in a row." Ah-ha! It was Mrs. Crossno! She was my Latin teacher during my freshman and sophomore years in high school. Wow. As it turns out she was visiting my sister's office for some physical therapy and when she asked about me, Amy just called me up and handed her the phone. It was very, very sweet to speak to her again after all these years. She retired just a couple of years ago but had remembered me all these years and even kept a little cartoon I drew way back then posted on the bulletin board in her classroom. 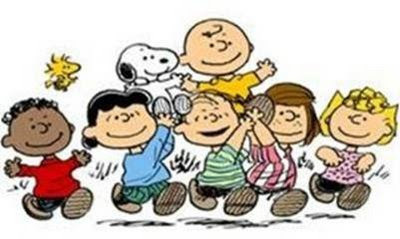 It was a copy of a Peanuts cartoon showing Charlie Brown with his little sister Sally. Sally was resisting the idea of going to kindergarten and the caption read 'Well, all right, I'll go - but I'm not going to learn Latin.' Mrs. Crossno had laminated it and kept it in her classroom all those years. She made quite an impact on me that's for sure. Two years of Latin, a "dead" language, equipped me with knowledge I used through college and still find skills I learned then coming in handy now. She taught us etymology (the study of word origins) and from that, I have been able to break many words down into their Latin roots so that I could get at least some understanding of their meaning when the word was new to me. And, it wasn't just what she taught me, it was how she did it. She made it fun. She was encouraging and supportive. She knew her stuff but never made you feel stupid for stumbling. She was an inspiration and gave so much of herself that it made you want to give back all you could. So, today on this Teachers' day, I want to thank Mrs. Crossno and all my teachers throughout the years. You have blessed me in so many ways. I am pleased to inform you that you have been nominated for the Oracle ACE award. You have been chosen based on your significant contribution and activity in the Oracle technical community. Like your fellow Oracle ACEs, you have demonstrated a proficiency in Oracle technology as well as a willingness to share your knowledge and experiences with the community. I am pleased and very honored to join the ranks of Oracle ACEs and will make it my continuing goal to be deserving of it. 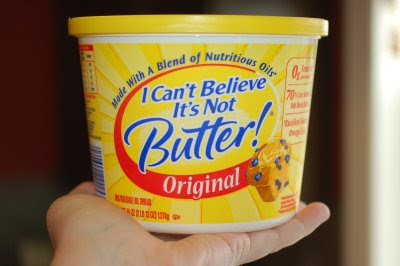 Did I make the wrong choice when I bought the super jumbo size tub of "I Can't Believe It's Not Butter"? Let me help you visualize the size a bit better. 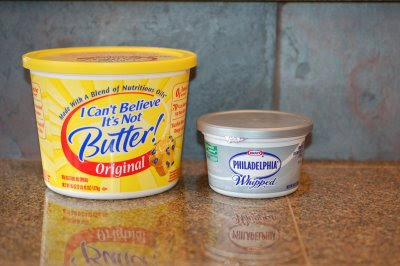 Here's the tub next to a cream cheese container that is the same size (8 oz) as my previous size butter tub. I'm thinking that my logic was a bit flawed when I decided on the 45 ounce size. I thought it was smart. The super jumbo tub was on sale and only cost 50 cents more than the small size. It seemed to me to be an easy choice. The big tub would equate to over 5 of the smaller size and cost only 50 cents more. Sounds like a great deal, right? Sometimes I suppose you just shouldn't go for what seems to be the obviously better deal, huh? I was directed to a cool little site called Wordle that takes text, the URL of any page that has an Atom or RSS feed, or a del.icio.us user name and turns it into a cool little graphic. I tried it twice: once with my blog and once with the text of my Method R bio page. The one from my blog needs to have it's "nerdiness factor" toned down (this feedback according to my colleague Ron...and I agree by the way). I think the one from my bio page is pretty cool. Here they both are so you can see what you think. I occasionally see something called a meme on other blogs I read and recently saw one that I thought looked like fun so I thought I'd try it. 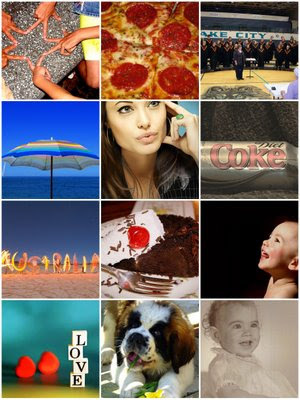 Using BigHugeLabs Mosaic maker to make a mosaic and Flickr to do your searches, type your answer to each of the questions below into Flickr Search. Then, using only the FIRST page, pick an image. Copy and paste each of the URLs for the images into the mosaic maker. Optimizer won't choose Index Fast Full Scan? A while back, I was asked to take a look at a situation where a COUNT(*) query was using full table scan instead of an Index Fast Full Scan. The answer turned out to be fairly simple. Can you determine the problem? Table with about 480K rows and about 800 Mb in size. Even using a hint, the optimizer still goes for a full scan. You should check to see if the indexed column allows nulls. If the column allows nulls, then the index can't be used to count the nulls since rows with null values are not stored for single column indexes. A simple describe showed that the column C600000215 which was used as the index column was a VARCHAR2(100) and it did not have a NOT NULL constraint. So, the optimizer couldn't choose the IFFS. This added the NOT NULL constraint to the column. Now, when the query is executed, the optimizer chooses the IFFS. Of course, if the column had to be allowed to have nulls then the solution would've required some more thought. But fortunately, this one worked fine. I've been trying for a while to find a way to get a code formatting utility to work on my blog. I'd originally seen it in WordPress where there's a built in tag to handle code formatting. But, no such thing exists natively for Blogger. I found a Google Code utility that I had tried to get added without much success but today, my colleague Ron got it working for us to use in our new forum (coming soon!). Now, with a couple of additions to my Blogger template, I'm able to use a slightly modified pre tag to get my code blocks formatted quite nicely. and I'm all set. To get this example to show up, I had to use "& lt" instead of the actual pre start and end tags (using <). That's good to know as it allows you to also display html as formatted code text and not be interpretted. Check it out if you're looking for a way to format your code in a nice, clean way. I've been watching the continuing comments related to Tom Kyte's recent post which referenced Cary's recent post on Christian Antognini's new book. There are a couple of things that fascinate me about the whole exchange: 1) all the comments about Cary are happening over at Tom's blog and 2) the person who is firing at Cary is "Anonymous". To the second point, I have to rant a bit on the whole idea of anonymity. First let me say that I don't like it. In the context of posting to public forums or blogs or where ever a person chooses to share their opinions and comments, it seems unnecessarily covert to not identify who you are. I'm interested to know what the fear is that makes someone not want to identify themselves. Is it fear of reprisal? Is it fear of looking "dumb"? What? "If you aren't going to say something directly to someone's face, then don't use online as an opportunity to say it. It is this sense of bravery that people get when they are anonymous that gives the blogosphere a bad reputation." I think there is a place for anonymous commentary. Many times people won't tell you the full truth because they actually like you and think it may hurt your feelings or something like that. But they feel OK to share when they know they won't be identified. One of the best personal review techniques I've ever heard of is the 360 degree feedback process. It is an review process that involves having co-workers, managers, and as many people as possible involved in providing feedback to a single individual. All their feedback is done anonymously. Each person that participates fills out detailed questionnaires about the person and the results are compiled to provide a very specific report back to the employee about their performance as other people see it. Think about it. If you were asked to talk about your manager (remember, this is the person who does your review and grants you raises and approves your time off requests) many people are less than totally forthcoming when answering questions if they think their feedback will be known to the boss. But, when they are assured their anonymity, they feel free to truly speak their minds. OK. I get that. And, I'm sure I could find other instances when anonymity can serve a very good purpose. But, I don't see how remaining anonymous when you make a blog post or comment is valid. There's another quote that I heard recently but don't remember it exactly that goes something like, if you wouldn't sign your name to something you say, then don't say it. I think that is right on. We live in a country where we are free to express our opinions. Only truly inflammatory speech is prohibited. But, even then, you've got to really be over the top for anything you say to be legally actionable. So, why not own what you have to say? If you're not willing to own it, then just plain don't say it. Lurk on the blogs and keep your opinions to yourself. I may not like what you say. If I don't like it, I can add my voice to the conversation in opposition. But in order to engage in true, meaningful, open debate and discussion, I truly don't see how remaining anonymous serves that purpose. From the start, an anonymous poster is (at least by me) viewed with suspicion. For the most part, I either ignore or gloss over their comments. But, as I believe so often happens, many people who post anonymously tend to have a recognizable pattern in how they write. So, after a while, the anonymous person is actually recognized...even if it's only a recognition that it's the same person's "voice". Sometimes the anonymous voice can be cross-matched to an actual person from places where they have chosen to identify themselves. Writing style is similar to a fingerprint and can often be used to identify the writer even when they post without identifying themselves. But it is hard to completely ignore the anonymous commenter. When they have things to say that you don't understand or that you disagree with, you want to respond. But, it just feels "off" to respond to a "nobody". I do support anyone's right to say things they think/believe even if it is in opposition to my own thoughts/beliefs. I just wish people would own their comments with their real identities. I think it speaks to strong character and intent when you are willing to identify yourself. I recently read something about how your name is your brand. If you hide your real name behind an anonymous label or even some made up screen name (for example, JoeCoolDBA or SmartGuy), you are not presenting your brand and that creates confusion and waters down your name. So don’t be tempted to bury your own beautiful name. Love it. Own it. Flaunt it. With that said, this is Karen Morton, signing off for today. What you'll see below is a more complete text of the tests I executed that were discussed in yesterday's post. First, the original query, then for the rewritten query. What I show for each is the actual STAT lines from the 10046 trace data, the EXPLAIN PLAN and some additional stats (collected with a SQL test harness set of scripts I use). 2 - filter("UCBSVCO". "UCBSVCO_STUS_CODE"='C' AND "UCBSVCO". "UCBSVCO_DISPATCH_IND"
In the original query, there was some question as to whether or not the SELECT MAX() was happening for each row. I had not included the predicate information section for the EXPLAIN PLAN which would have cleared this up. Note the filter on line 2 of the plan for the full table scan. So, the plan chosen does show that the SELECT MAX would occur as a filter for the full table scan and that means it could possibly execute once for each row. It was just "lucky" that the MAX query always used the same inputs and therefore didn't really require an actual execution of the MAX query for each row evaluated by the WHERE clause due to subquery caching. But, the thing to notice about the original plan is that it does require 2 access operations against the UCBSVCO table where one should suffice. The new analytic syntax does only one access operation on that table. That's good! If you can do something once instead of twice to get the same end result, once is better. It's like needing to go to the store to get bread and milk and you make one trip and get the bread and bring it home, then you make a second trip to get the milk. You could've gotten both items in a single trip and saved yourself a lot of time and effort. It works the same way with Oracle. 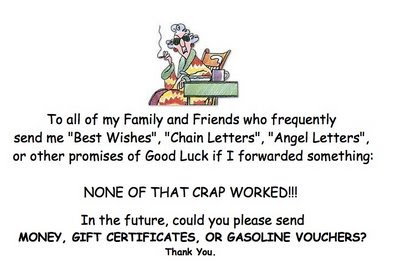 Don't send Oracle to the store twice if once will do. There were a couple of other comments I wanted to discuss as well. 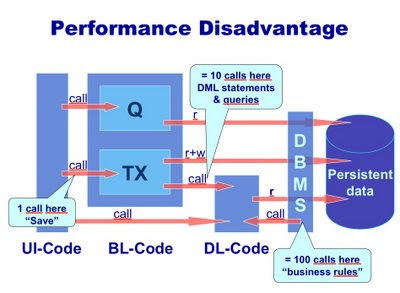 From Bundit: Is there any reason to avoid using analytic function due to performance issue? I'd say that analytic functions aren't a fix for everything. They're just another tool in the toolbox to choose from. I like the saying "just because you have a hammer doesn't mean every problem is a nail". You can't use analytic functions to fix everything, but you can use them to help reduce the resource requirements for certain classes of problems like the one I've demonstrated. They won't always be the answer but they should be one of the syntax options to test when/where appropriate. Only through proper testing would you be able to prove which way of writing a particular query would be most efficient. From Craig M: Are the columns in the partition by necessary? It seems like it isn't adding anything since you are filtering on those columns. In this case, you're right. Since the WHERE clause is specifying only a single cust_code and prem_code, the partition by isn't really necessary. For me, it's just a habit I'm in of always clearly indicating on which columns I want grouping to occur. The only way I can answer this now is to say we'd have to test it and see. But, I think the analytic version would still be better if this version did what I think you're expecting it to do and materialize a temp table with the result of the query against UCBSVCO. First, the plan for this version would require an "almost" sort. The use of ORDER BY to put the rows in descending order would mean the rows output from that step would need to come out in sorted order and Oracle would have to do that operation. Now, because of ROWNUM, it should do an in-line sort vs. a normal sort operation. In other words, as the rows are read, Oracle will check to see if the ucbsvco_dispatch_date column value is greater than the previous row's value. After all the rows are read, then it will have the one row which has the most current (MAX) value. So, I'd want to see how the bit of extra ordering work would be handled as compared to the analytic version. The other thing is that if the result set is materialized for that query, there will be some small overhead to create that temp table and then read from it. That overhead doesn't exist in the analytic version. Thanks to everyone who commented on the original post and I hope this follow-up provides more info to clarify issues raised.